Visit Qualicum Beach Farmers Market every Saturday from 8:30am-12pm, Year Round and enjoy an incredible selection of fresh produce and locally produced goods. Our vendors make, bake, or grow the products they offer for sale. Get to know who produces your food. Discover the wealth of mid-Island production from a wide variety of local home and commercial providers. Learn from them in person the joys and challenges of delivering quality fruits, vegetables and berries, maintaining heritage varieties and assuring the freshest and best flavoured homemade products. Parking is available in the church behind the market, behind Camelot homes, across Memorial drive and throughout the Town of Qualicum Beach. Yes! We have one washroom located in the Community Hall. The Town of Qualicum Beach also offers washrooms located beside Quality Foods, and inside the Town Hall which is open Saturdays. Do all of your vendors make their products? Yes, Vendors must “grow it, bake it or make it” in order to offer their products at the Qualicum Beach Farmers Market. Yes!! Every weekend in the summer and some weekends throughout the rest of the year we have music and entertainment! Bands and entertainment can be found on our Weekly Market Map in the 'For Vendors' section. Is there anything to eat while at the market? Yes! We have a food truck located at the corner of Veterans Way and Memorial Ave. We also have coffee and tea for your enjoyment. How can I find out which vendors are at the market? Please see our Weekly Market Map in the For Vendors section. What's in Season in Qualicum Beach? Just have a look at this useful diagram! Are drop-in spots available for vendors? Spaces are usually available for non-members wishing to sell plants, produce and food related items. Persons wishing to do so, should contact the Market Manager as early in the week they would like to come, but not later than Thursday and should refer to the Regulations for applicable conditions, fees and membership matters. Do you have any organic products? Yes! 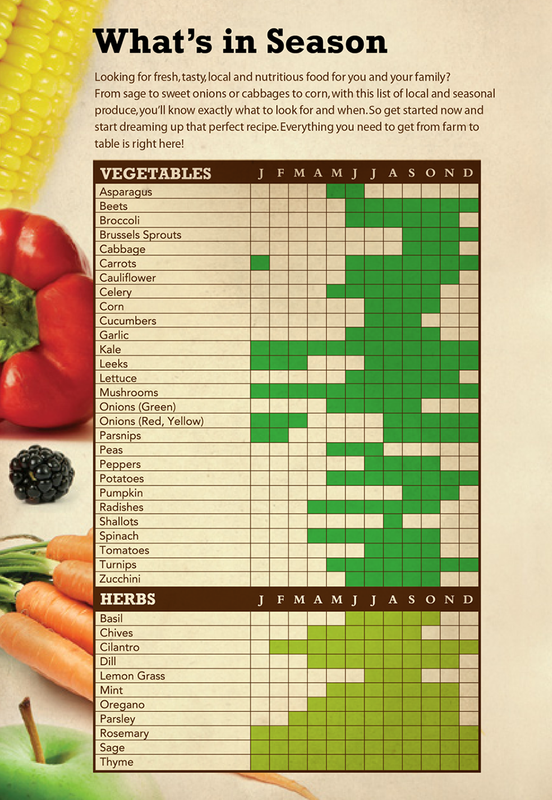 Please see the vendor directory for a complete list of our Certified Organic vendors. At the Qualicum Beach Farmers Market, only vendors who are Certified Organic may advertise their products as organic. What is the purpose of the market? To promote and sustain agriculture, fisheries and food production in the area of Vancouver Island and the Gulf Islands. To operate a Farmers Market within Oceanside, mid-Vancouver Island. To promote the growth of 4H, through their participation in the Society’s purposes. To enhance and strengthen the economy and community well-being, within Oceanside, mid-Vancouver Island. Eating in season is not only healthy for you but also for our planet! Better tasting and more nutritious, fresh, locally grown produce is one of the best things we can do for ourselves, our families and communities. Local production means guaranteed freshness and outstanding flavours as well as eliminating the need for of long distance transportation. At the Qualicum Beach Farmers Market, you will find an array of seasonal produce, fish and meat. All local and as fresh as it gets!! Feel free to ask vendors about different, seasonal produce that you may not recognize! They are a wealth of information and can offer helpful storage and cooking tips! The Qualicum Beach Farmers Market was established under the auspices of the Arrowsmith Agricultural Society. For many years, the Association had featured “A Taste of the District” at its annual Coombs Fall Fair and had determined the need to provide local farmers and gardeners a venue for their products. With the cooperation of the Town of Qualicum Beach, the first season of the market was held in 1997 adjacent to the Old Train Station on Beach Avenue. There were approximately 20 regular vendors for that first season and community interest was encouraging. During the next year, the market was formally constituted as a provincial non-profit society, but following that second season, the train station underwent renovations, displacing the market. For the summer of 1999, the market was held at the town parking lot on Second Avenue, between Fir and Berwick. By 2000, the market had grown to a point where a larger site was needed, and the Town and adjacent merchants on Fir Street, off Memorial, agreed to close off the street for Saturday mornings. During the following years, the Market established itself as a Town feature, growing in size and broadening its scope to a point where, in 2007, it accepted its first Craft and Artisan members and membership grew to approximately 55. Slated service upgrades and construction on Fir Street led to discussions between the Market and the Town regarding a more permanent location with improved washroom and hydro facilities for Market vendors and patrons. In 2009, the Market took up Saturday morning residence on Veterans Way, a space it has agreed to vacate on the third Saturday in July each year, returning to its former Fir Street location to make way for the long-standing annual St. Marks Fair. In the fall and early winter of 2009, a “trial winter market” , limited to food vendors only, was held in the Community hall on Veteran’s Way. Based on the the success of that trial, the market is now proud to run year round. The Market operates on Veteran's Way from first Saturday in May to Thanksgiving weekend in October, moving indoors until the second Saturday of December.